The latest rumor in the tech blogosphere claims that Samsung could unveil the Galaxy S6 in early January at CES 2015. Although Samsung usually unveils a new member of the Galaxy S line-up a bit later in the year, an analyst from South Korea believes that the Galaxy S6 could be unveiled a few weeks from now at CES 2015 in early January. Allegedly the main reason for the early unveiling of the company's flagship smartphone are the poor Galaxy S5 sales. The last member of the Galaxy S flagship series did not sell nearly as well as Samsung hoped it would, as the company had big ambitions following the commercial success it met with the Galaxy S4, and the Galaxy S3 before it. Since the Galaxy S5 doesn't generate too many sales in the present, the analyst argues that Samsung will rush to unveil the Galaxy S6. According to rumors, the Galaxy S6 will continue Samsung's tradition of releasing two versions of its flagship smartphone. One version will feature the Qualcomm Snapdragon 810 chipset, while the other will be based on the Exynos Octa 7 chip (and this version was recently discovered in the AnTuTu database). The Galaxy S6 is referred to as "Project Zero", as the team of engineers is said to come up with a radical new design language. 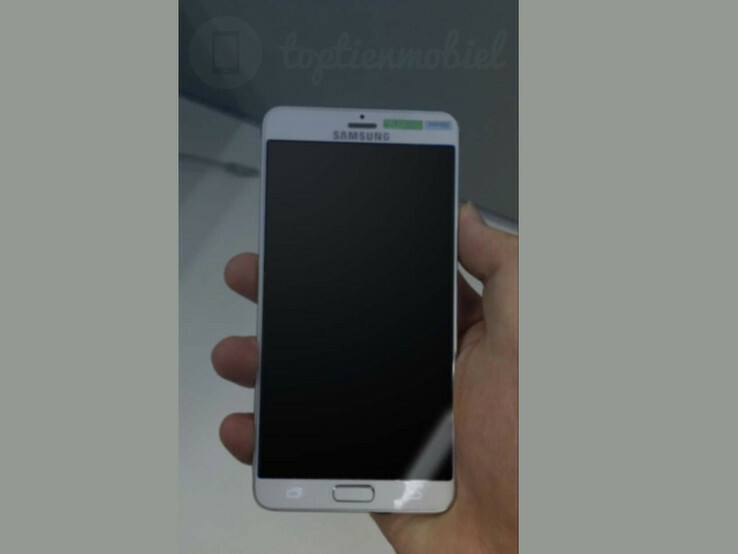 As far as the build materials are concerned, the Samsung Galaxy S6 will allegedly come with a metal frame, much like the Samsung Galaxy Alpha. Aside from the two versions of the smartphone mentioned above, rumors have it that Samsung will also release a curved variant of the handset to be called the Galaxy S6 Edge. Unlike the Galaxy Note Edge, the world's first smartphone with a curved edge, the S6 Edge is rumored to come with two curved edges. Although it wouldn't be entirely surprising for Samsung to unveil the Galaxy S6 at CES 2015, you should take these rumors with a dose of the proverbial salt.